Oscar Negrete Bravo receives a pass Wednesday against North Valleys. 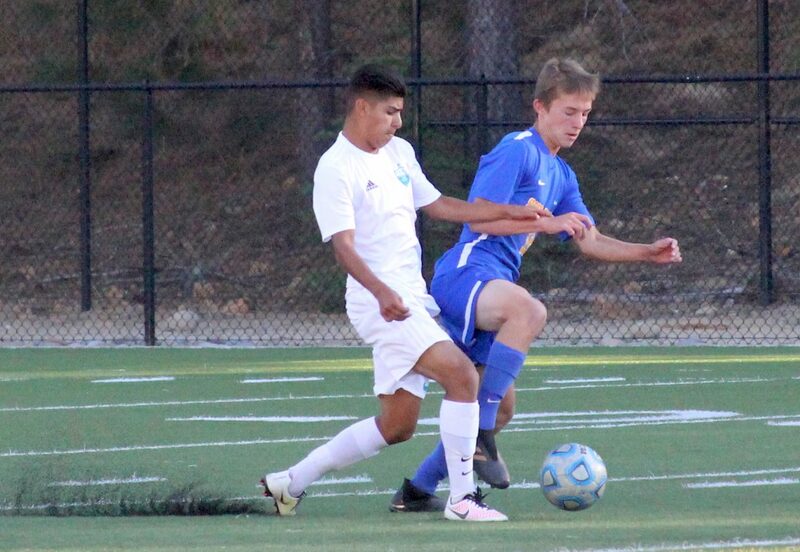 South Tahoe's Oscar Marzocco battles for the ball with a North Valleys defender. South Tahoe's Alexander Norling dribbles past a North Valleys defender. 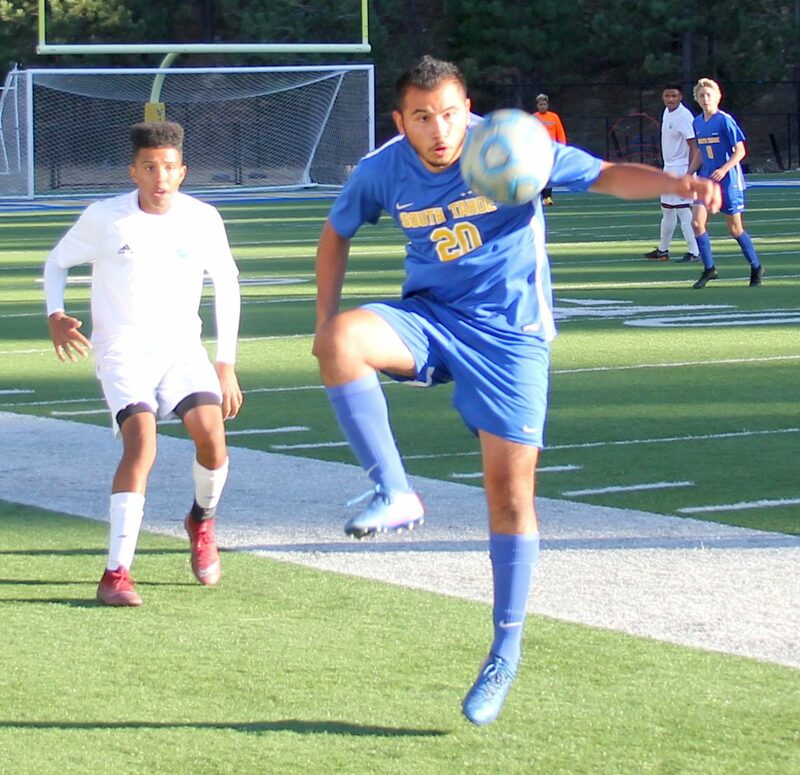 South Tahoe's Daniel Hernandez Marquez gains possession Wednesday against North Valleys. 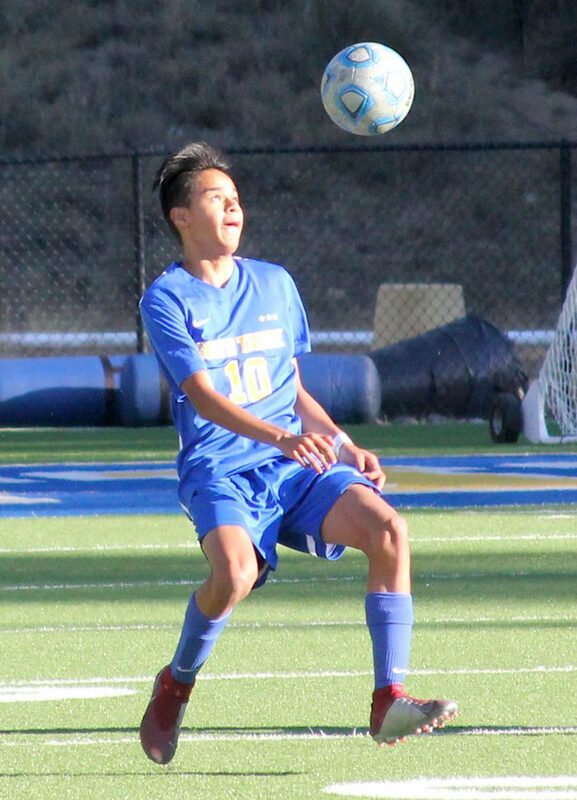 SOUTH LAKE TAHOE, Calif. — South Tahoe became the latest soccer team to suffer defeat at the hands of North Valleys. 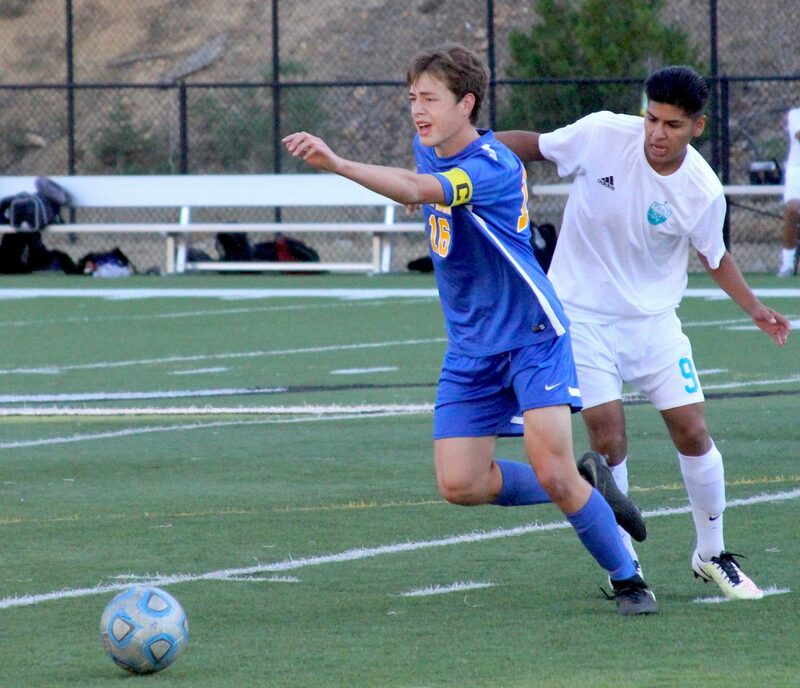 The Vikings put up a strong effort Wednesday evening that pleased their coach, but still suffered a 3-0 defeat to the visiting Panthers. North Valleys was bumped down to 3A this year after being run off the field, or court, in many sports, but boys’ soccer was not one of them. The football team last season won a single game and the boys’ basketball and baseball teams each won just five games. The girls’ hoops and volleyball teams didn’t win a single contest. North Valleys boys’ soccer has cruised this year in the 3A Northern League outscoring opponents 38-2 through six victories without a loss. The Vikings loss Wednesday was one of the more competitive matches that Panthers have played. Sparks scored a goal and lost 3-1, but Truckee lost 8-0, Churchill County lost 12-1, Lowry lost 8-0 and North Tahoe fell 4-0. The Vikings had some opportunities. While the Panthers controlled most of the possession, South Tahoe forwards Oscar Marzocco and Josh Bull looked dangerous on counter attacks but couldn’t find the net. “It comes down to us finishing our opportunities and being able to manufacture and create more goal scoring chances,” Abravanel said. The top five teams from the Northern League A qualify for postseason and the Vikings are right in the mix with 10 games remaining. Behind North Valleys in the league standings are Truckee (5-1), Sparks (4-1), North Tahoe (4-2) with the Vikings (3-2-1) in fifth, just ahead of Elko (2-2-1). South Tahoe next will play Saturday, Sept. 22, at Lowry (2-4) before coming home Tuesday to host rival Truckee.